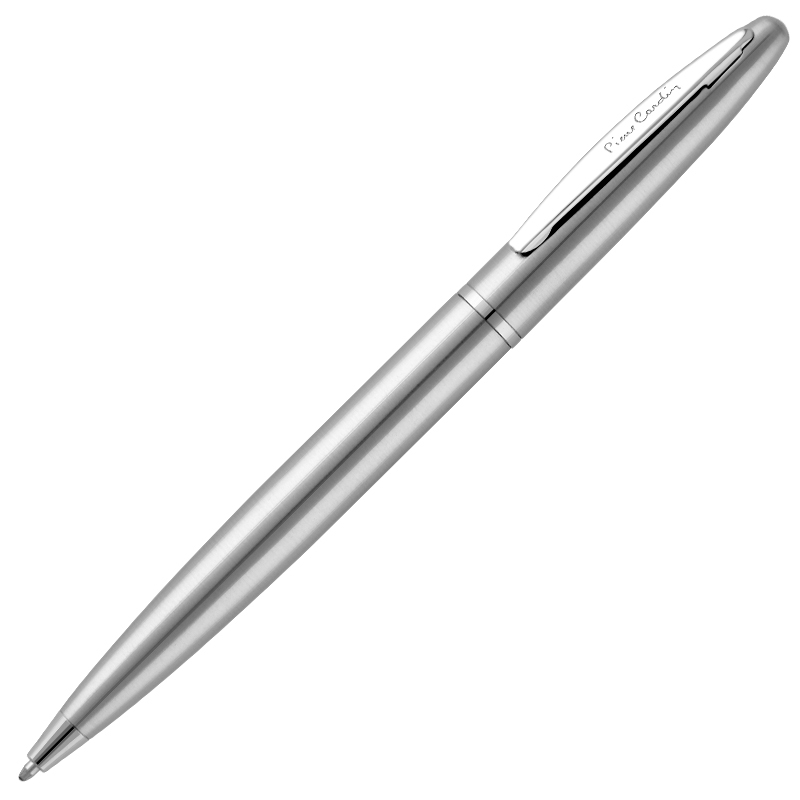 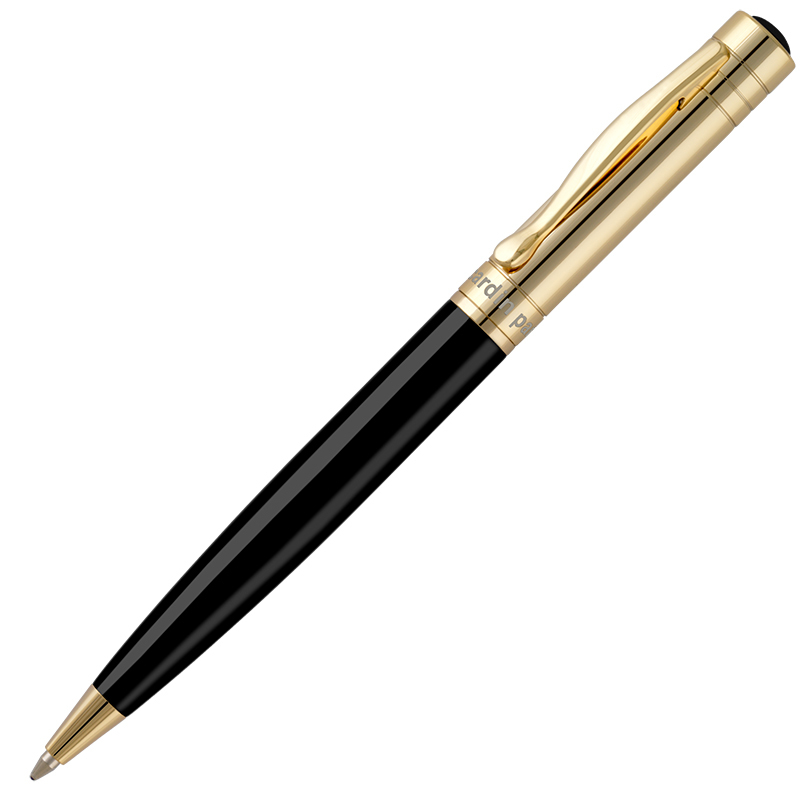 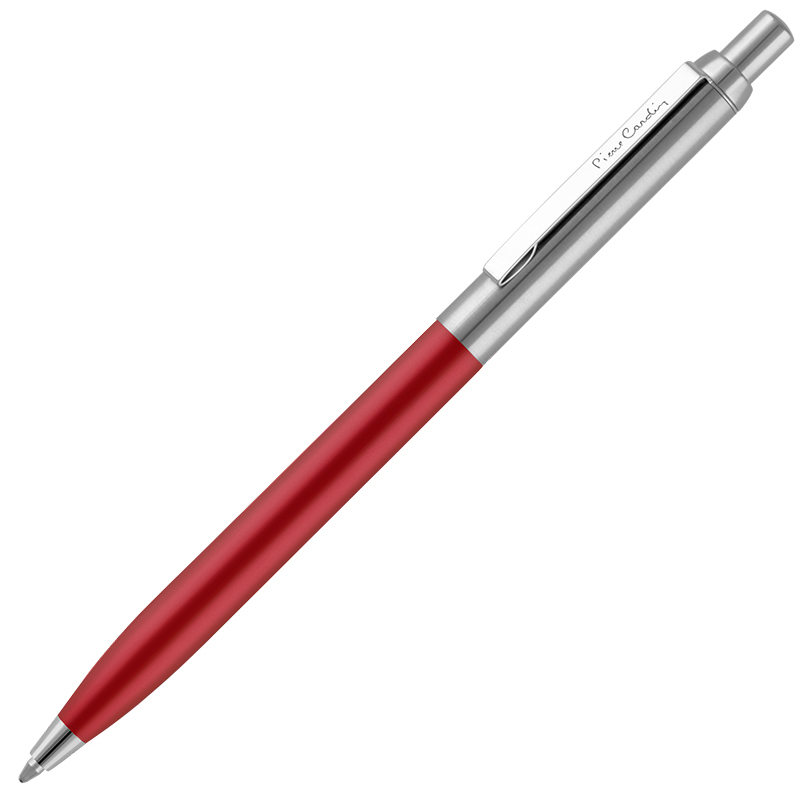 Manufactured from hand-polished brass, this twist-action ballpoint pen's weight and balance exudes quality and craftsmanship. 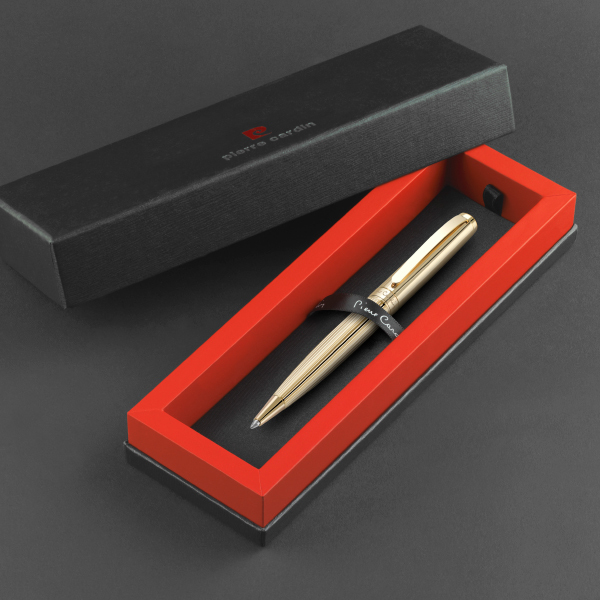 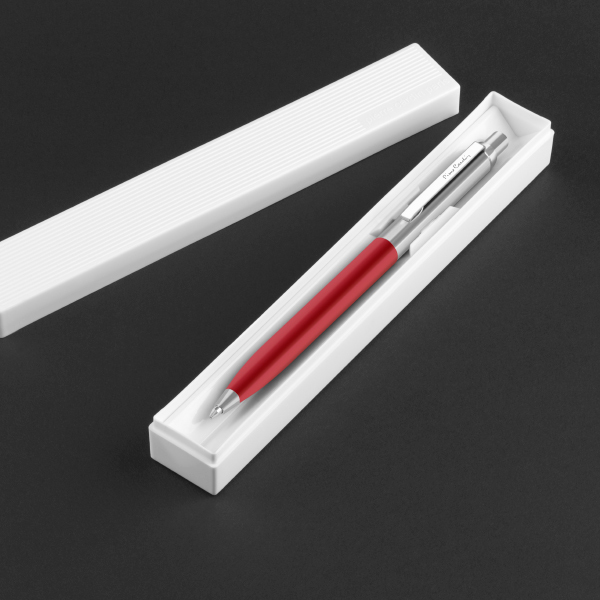 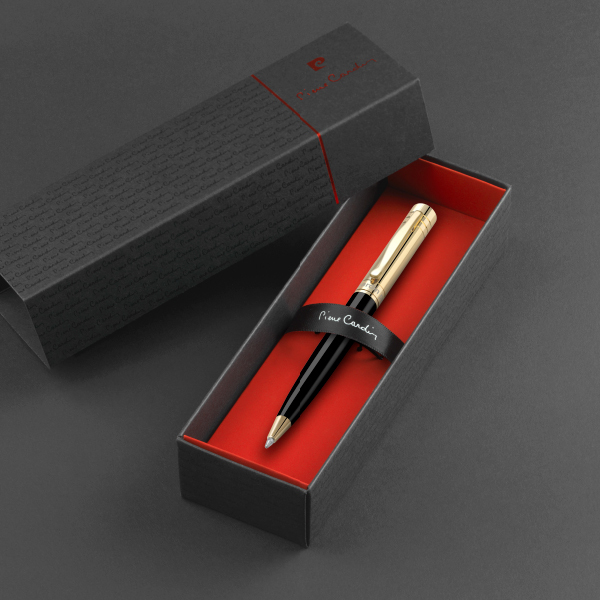 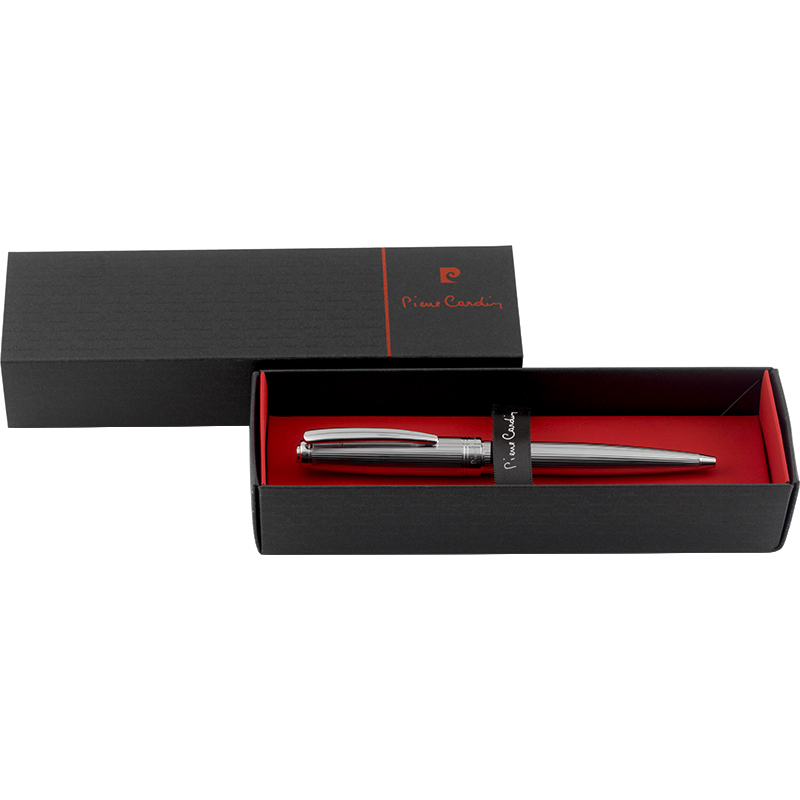 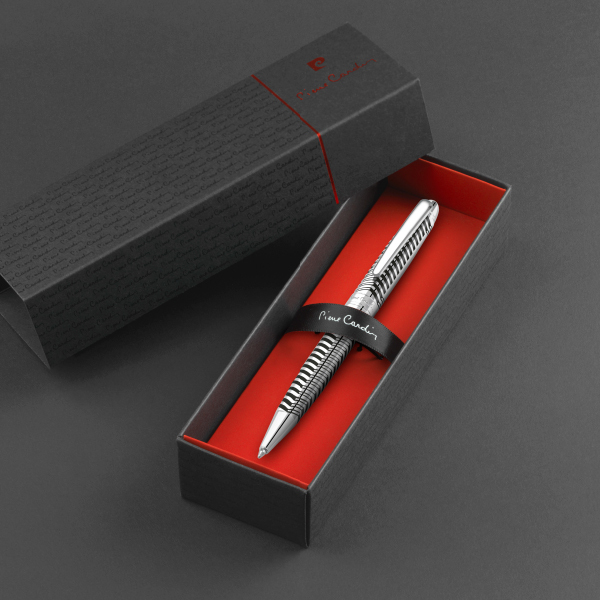 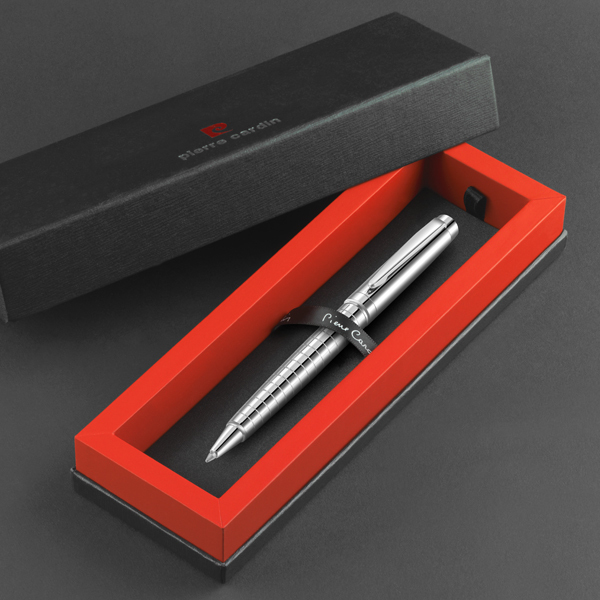 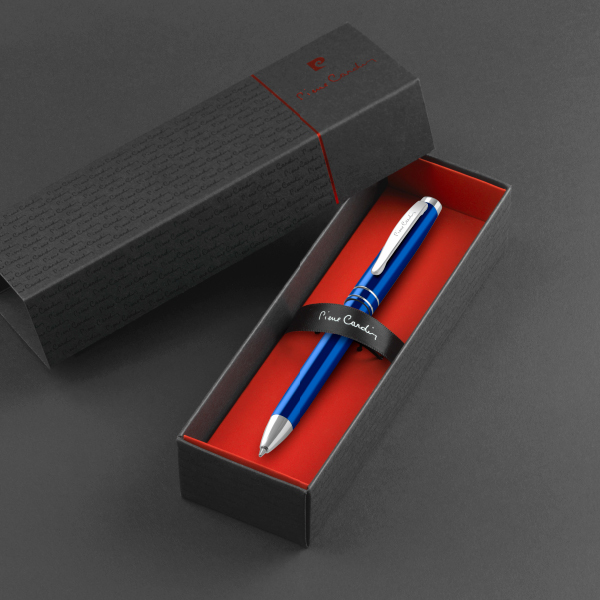 From the hand-machined linear guilloche finish on the barrel and upper body to the electroplated clip, machined from a solid ingot of brass and secured by two concealed rivets, it is immediately apparent this pen has been created for the most discerning client. You can choose from electroplated chromium, electroplated gunmetal and a combination of chromium and black enamel. 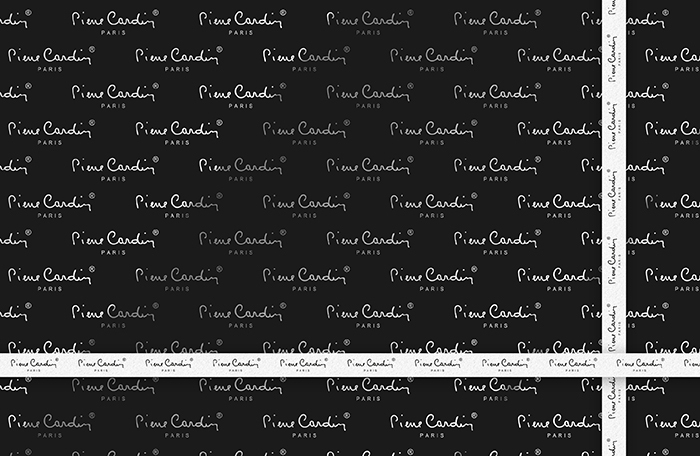 A plain panel is provided on the upper body for printing or laser engraving if branding or personalisation is required. 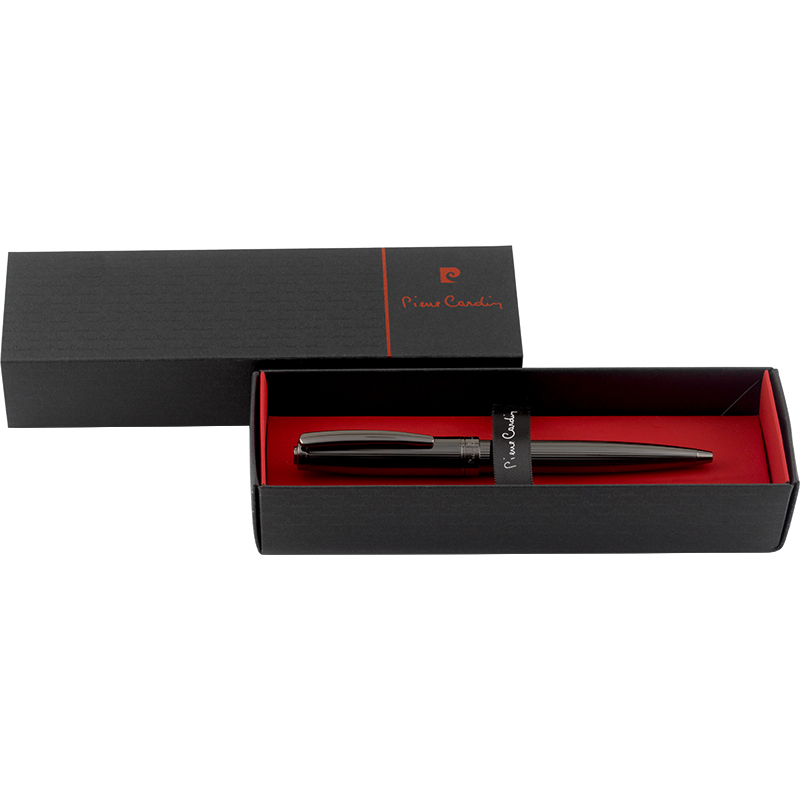 A distinctive feature of the black enamel version is the mirror finish engraving service that can be provided by Pierre Cardin to match the polished chromium trim. 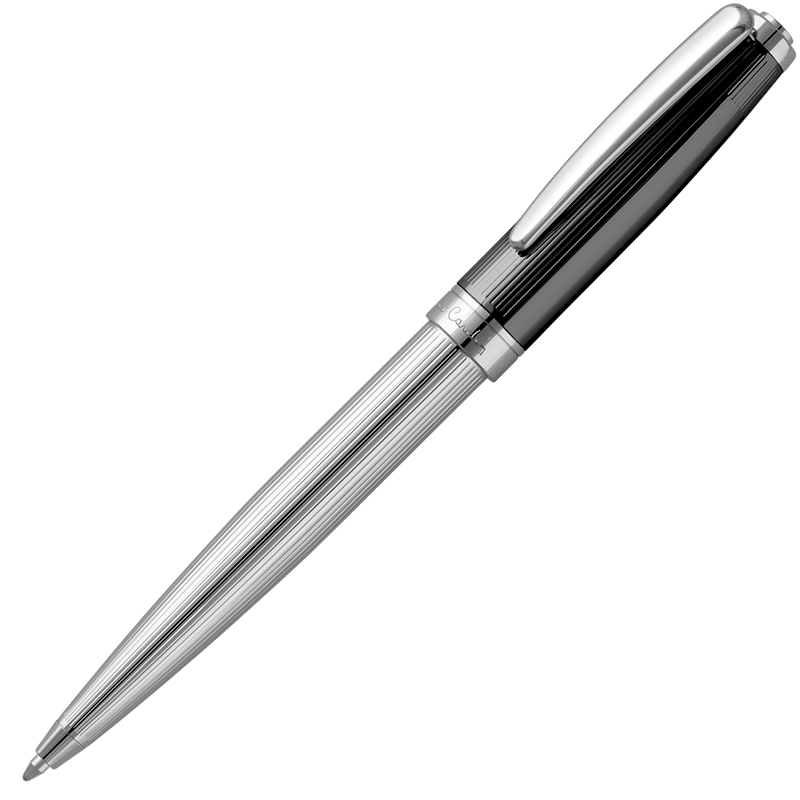 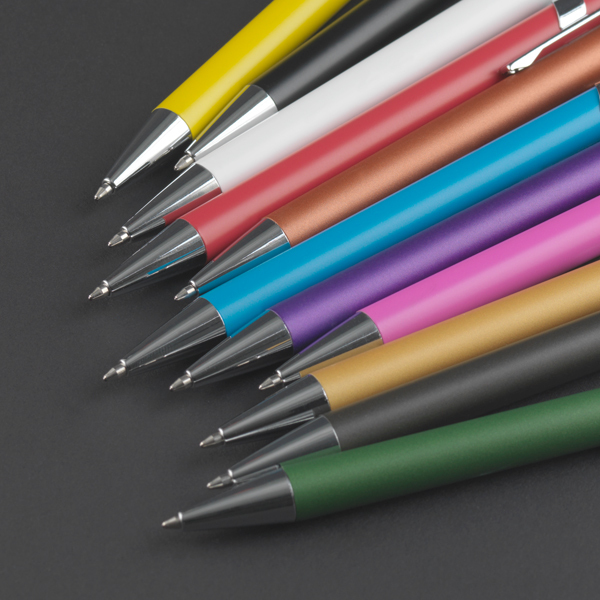 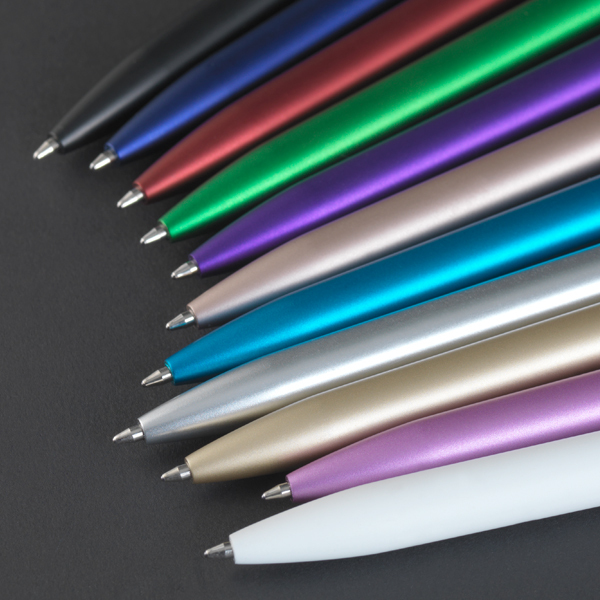 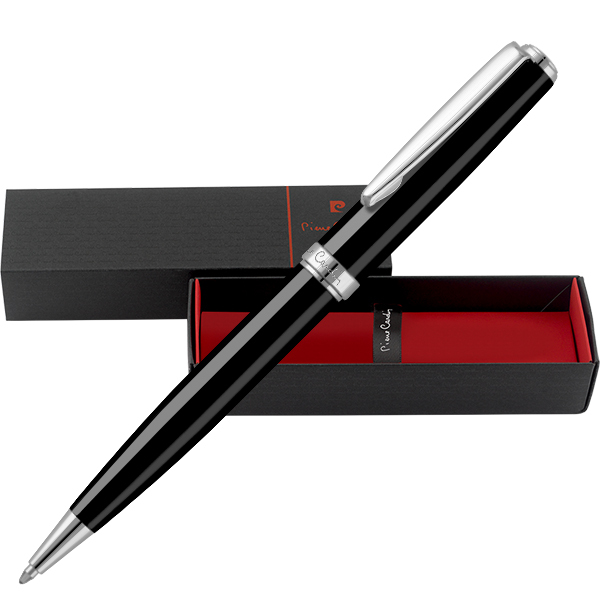 Each pen is provided with a metal refill manufactured from brass with a Swiss tungsten carbide tip and German Dokumental™ ink. 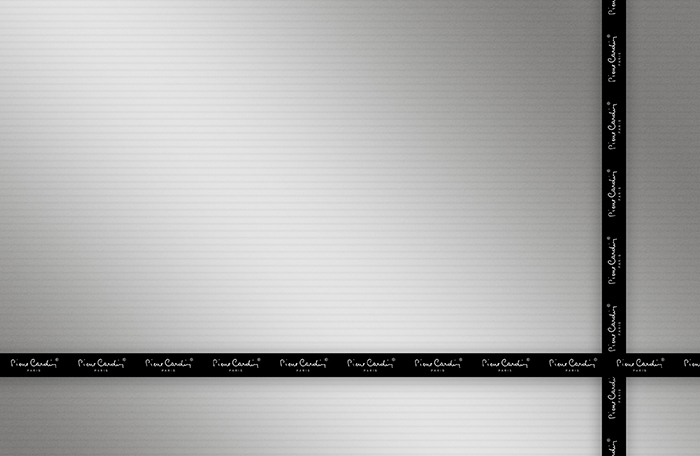 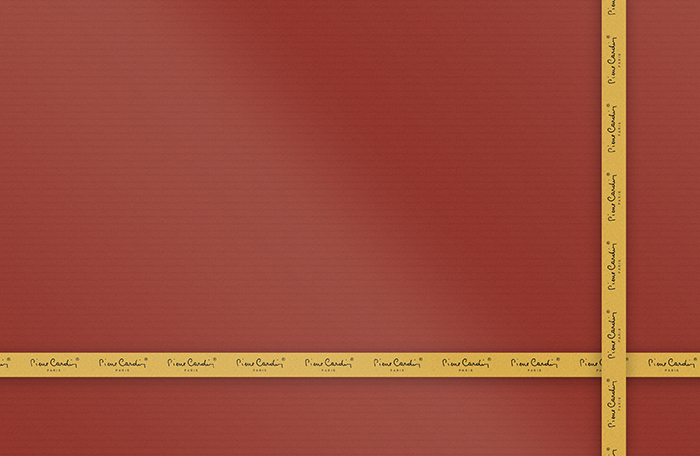 This combination provides an astonishing four thousand linear metres of writing.